Soft drinks, airtime and top-up groceries are the three most popular items currently bought at South African garage forecourts, according to ROOTS 2016 – the country’s largest quantitative urban survey. 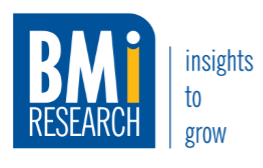 ROOTS 2016 research is made available by BMi Research to marketers, brand owners and distributors, including garage forecourt owners, who are looking for strategic insights into their respective sectors. It is conducted every three years by SPARK Media in various sectors, including finance, FMCG, property and retail. By using a customised analysis tool, called ROOTS Storyteller, key insights from ROOTS 2016 data are gleaned. The latest survey also reveals that the majority of South Africans visit a garage shop or forecourt at least once a week, and that two garage shops in particular are the most popular with local consumers, far outweighing the other stores in this sector. Cindi Collett, Sales Manager at BMi Research, says this is just a taste of the ROOTS 2016 forecourt findings, with the full extent of the research yielding other vital industry insights. “The garage forecourt channel is characterised by healthy competition, and has a lot of room for growth and innovation. The findings from ROOTS 2016 help forecourt owners and brand owners make important, strategic decisions regarding their businesses and their products respectively. This gives them an edge in this competitive environment, helping them to tap into this growth potential. It’s really an invaluable resource for players in the forecourt sector,” Cindi notes. She adds that industry stakeholders buying the research can dig down into the findings as deep as they wish, extracting very precise information to answer their exact questions. The cost of the research is then tailored according to the extent of the information presented – the more in-depth the research, the higher the price. ROOTS 2016 was conducted last year across 120 communities via 28 000 interviews with 6.2 million decision makers representing 3.4 million South African households. It provides comprehensive, workable insights on consumer behaviour at a local level. In the garage forecourt sector, this means helping marketers, brands and retailers understand who their customers are, what they look like, how they behave, where they shop, what they buy, and how their demographics have changed over time. This enables them to solve even their most pressing demographical and geographical challenges. The ROOTS information is available for individual communities or clusters of areas, based on clients’ specific needs. It covers various categories, including insurance, travel and transport, grocery shopping, shopping centres, leisure and entertainment, the home, print, the internet, television, radio and mobile. It is presented using ROOTS Storyteller software, which packages the data in an easy-to-understand graphic format. ROOTS Storyteller also makes it easy to run specific queries and provides an extremely detailed, geocentric view of consumers and their purchasing patterns. It also optimises data queries by rendering the required data output in a fast, efficient way for marketers.